Search today's newest Huntington townhomes for sale and other real estate in Downtown St. Petersburg. Located just two blocks away from the Tampa Bay and in the heart of Downtown St. Pete, Huntington Townhomes is a luxury community you will be proud to call home. To request more information about Huntington Townhomes for sale in Downtown St. Petersburg or to schedule a private townhouse showing, contact your Huntington townhome real estate experts today. Purchasing a townhome in Huntington? Call (727)485-0144 to reach your local Huntington real estate team, DWELL Real Estate. Our local experts will offer guidance to help you through the Huntington real estate market. Built in 1998, Huntington Townhomes consists of twenty-seven units, each with two to three floors and up to 1,785 square feet of space. It is a private, gated community for each resident's peace of mind, and most units are furnished with private security systems for additional security. Each unit comes with an attached one or two car garage. Another great feature is the private, fenced courtyards residents can enjoy from their private covered balconies. Beautiful shaded brick pathways wind among the townhomes, converging on a central brick courtyard surrounded by the units. The complex has its own private, heated pool for residents to relax in. Near the pool is a convenient covered space, ideal for hosting parties or a barbecue. Huntington Townhomes is proud of its shared spaces and the sense of community they instill in its residents. The complex has central air conditioning which was updated in 2006. The property is managed professionally by a friendly staff ready to see to any maintenance needs that might come up. The monthly HOA fees are also low compared to the surrounding area, making Huntington Townhomes even more unique and special. Pets are allowed, however, please check the governing documents for any applicable restrictions before purchasing a unit. Many of the units have been remodeled and updated for true modern living, including hurricane-proof windows and new carpet or hardwood flooring. Washer and dryer hookups are available in each unit and, when sold, the units often come furnished with other typical appliances, like a refrigerator, dishwasher and microwave. Fireplaces are also available in some units. St. Petersburg itself is part of the Tampa Bay area and renowned for its good weather and low cost of living. The city has a vibrant arts scene and there are plenty of quality shopping and dining options within walking distance of Huntington Townhomes. St. Petersburg continues to grow both as a retirement destination and a thriving community for young people. Interstate 275 is easily accessible, making commutes or travel to the nearby cities of Tampa, Clearwater or Sarasota a cinch. Other nearby places of interest include the local St. Petersburg Saturday Market, held weekly, the St. Petersburg Yacht Club, the Muvico Sundial 19 + IMAX movie theater, the Museum of Fine Arts and the St. Petersburg Museum of History. Nearby beaches include Fort De Soto Park and Spa Beach, both of which are considered some of Florida's premier beaches. Public and private docks line the shoreline just a short walk away from the complex for ease of access to boating activities. Several seaside parks, including North and South Straub Park, Vinoy Park and North Shore Park, are also just a short distance away. Huntington Townhomes boasts a great urban location right next to the majesty of Florida's surrounding ocean. It is an ideal community for retirees, snowbirds, or young professionals looking for a place to live on the town. An investment in one of these townhomes is sure to pay off as well, because home values in south Florida tend to appreciate as the real estate is always in demand. In short, it's a great place to live! 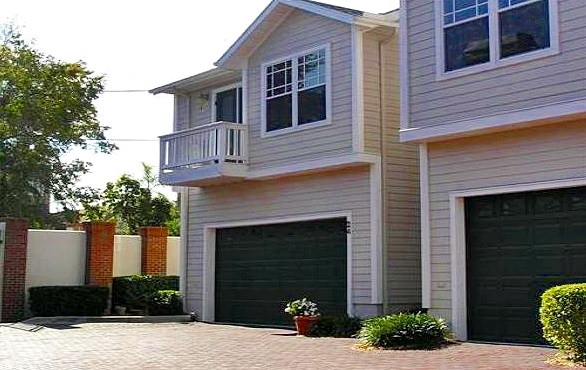 Planning to buy or sell a townhome in Huntington? Let our local Downtown St. Petersburg real estate team guide you through the sale of your current Huntington townhouse or purchase your next Huntington property. As Huntington townhome real estate agents and experts, we're well-versed in the unique market dynamics of Huntington townhouse real estate. We're ready to work with you today! Contact DWELL Real Estate to learn more about representation for buyers and sellers. Preparing to sell your Huntington townhome? View our comparative market analysis page to receive a free Huntington townhome value estimate analysis within moments.